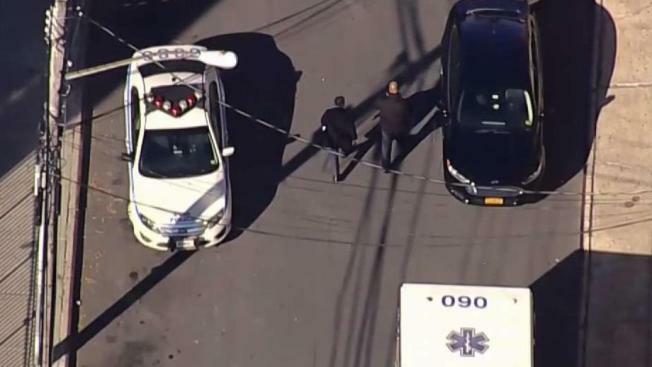 A 19-year-old was expected to survive after he was stabbed in the chest outside a school campus in Queens while picking up his diploma, police and law enforcement sources said. Rana Novini reports. A 19-year-old was expected to survive after he was stabbed in the chest by a student outside a school campus in Queens while picking up his diploma, police and law enforcement sources said. The stabbing happened outside the campus on 94th Street in Elmhurst around 11:54 a.m. Thursday, police said. Law enforcement sources initially said the victim was 17, but the NYPD later confirmed the victim was 19. He was a recently graduated student who was picking up his diploma at Voyages Preparatory School, one of the schools on the campus, according to his girlfriend, Janece Bishop. She told News 4 New York, "I was in class, his mom called me. He was so happy to go get his diploma, and then I get a call. I was shaking. If he was stabbed in the chest, he could have died." A 17-year-old student was taken into custody after the stabbing, according to police. The victim is expected to be OK.
Police believe the incident stemmed from a fight. Both the suspect and the victim were arrested, and a weapon has been recovered. The 17-year-old boy who allegedly stabbed the 19-year-old faces charges of assault, criminal possession of a weapon and unlawful possession of marijuana. The 19-year-old faces a charge of assault. "Safety is our top priority, and the NYPD and EMS immediately responded to this serious off-site incident, which did not result in any life-threatening injuries," a spokeswoman for the Department of Education said. "We are working with the NYPD and are providing the school with additional safety support," she added. Students took home letters for their parents similarly assuring that all safety precautions were taken.